Looking to feed your hungry family some pizza that is something other than ordinary? 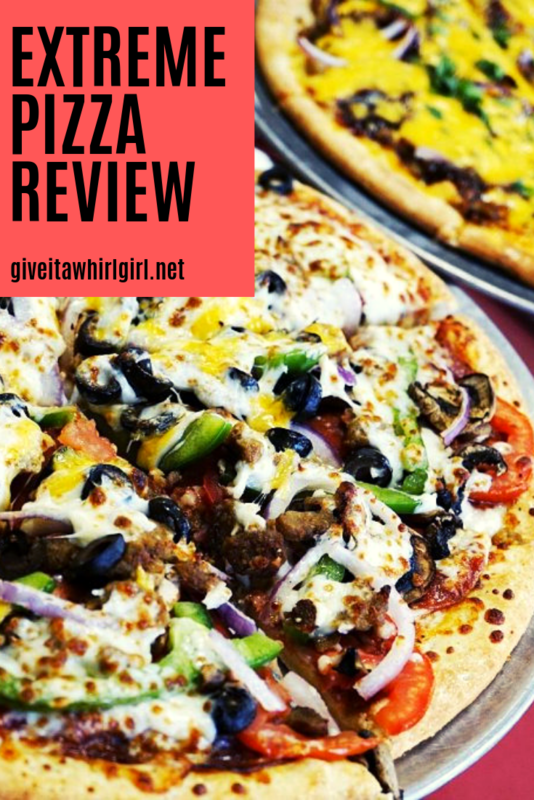 This Extreme Pizza review will tell you how can achieve that with some fun and exciting pizza flavors that this pizza chain has. The whole entire "does pineapple belong on pizza" movement can move over and step aside because at Extreme Pizza they are bold enough to put mandarin oranges on pizza! Yes, I said mandarin oranges, and those can be found on one of their signature gourmet pizzas The Paia Pie. Ok so I know you might be thinking that oranges on pizza does not sound very appealing but guess what... if you allow yourself to eat freely and with a very open mind you will see that yes, mandarin oranges do belong on pizza! Keep reading this Extreme Pizza review to find out what else this place has to offer for your next lunch or dinner! 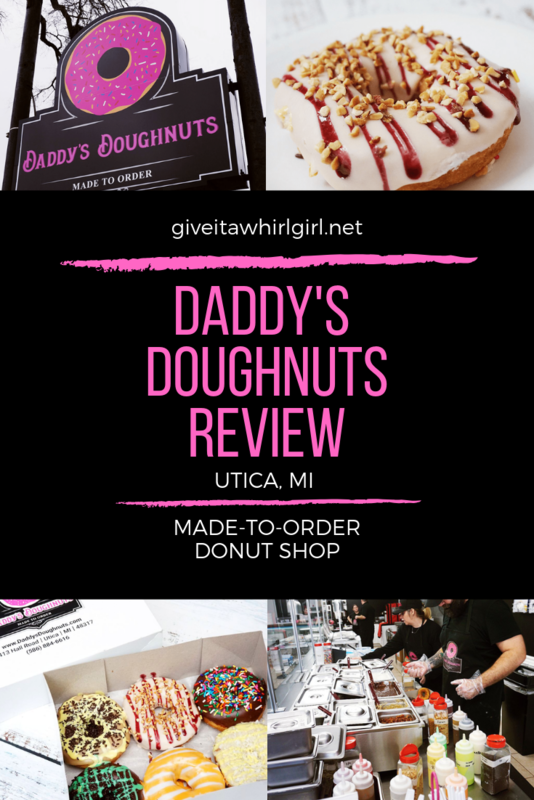 Daddy’s Doughnuts REVIEW – Utica, MI Made-To-Order Designer Donut Shop Serving Up Happiness One Doughnut At A Time! I hail from the city of St. Clair Shores, MI but we recently made the drive all the way over to Utica just for a half-dozen box of donuts from Daddy's Doughnuts. 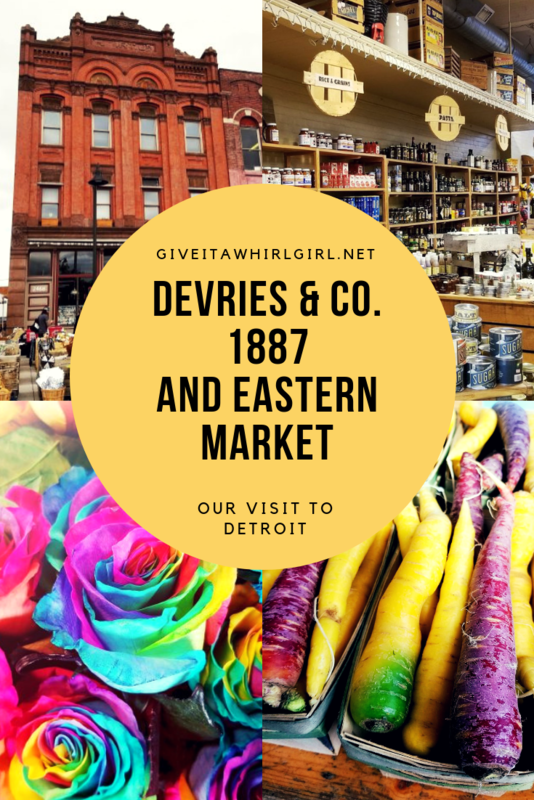 We were so blown away and impressed by these morsels of heaven, I just had to share my Daddy's Doughnuts review with you over here on the Give It A Whirl Girl blog today. If you are wondering what is just so special about these donuts I will fill you in. The Daddy's Doughnuts donut shop allows you to create your own donut creation. This is a made-to-order, you dream it, they build it donut shop! Daddy's Doughnuts might just be the perfect place to make a pitstop if you have a sweet tooth to satisfy or if you are looking for a "cheat day" treat! Not only do these donuts taste great but the experience alone of creating your own is just a ton of fun! Modern Cone is a fairly new ice-cream shop to hit the city of St. Clair Shores, MI. This ice-cream shop is formerly known as Ashby's Ice-Cream shop. I am so excited about the change that has come to this location. This past weekend we were actually looking for a new frozen-yogurt or ice-cream shop to visit and we stumbled upon Modern Cone on Yelp. The photos that I saw on my Yelp app totally and completely sucked me in. So for Tried It Out Tuesday this week I am sharing my Modern Cone review with you. 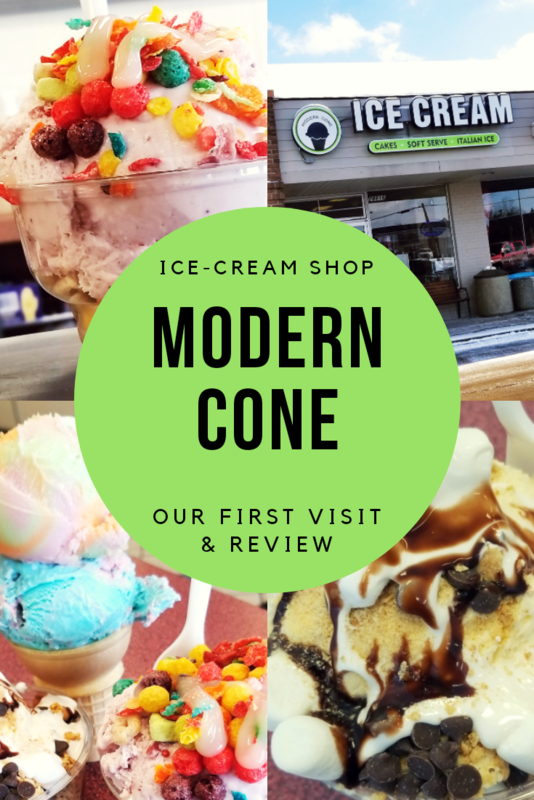 If you are in the Detroit area (or St. Clair Shores would be even better) you need to check out Modern Cone. Their extensive menu is super duper exciting for the ice-cream enthusiast. You will find yourself coming back for more and more after your first visit! I am always looking for new and interesting foods to try out and Modern Cone was the most perfect content to share with my readers. 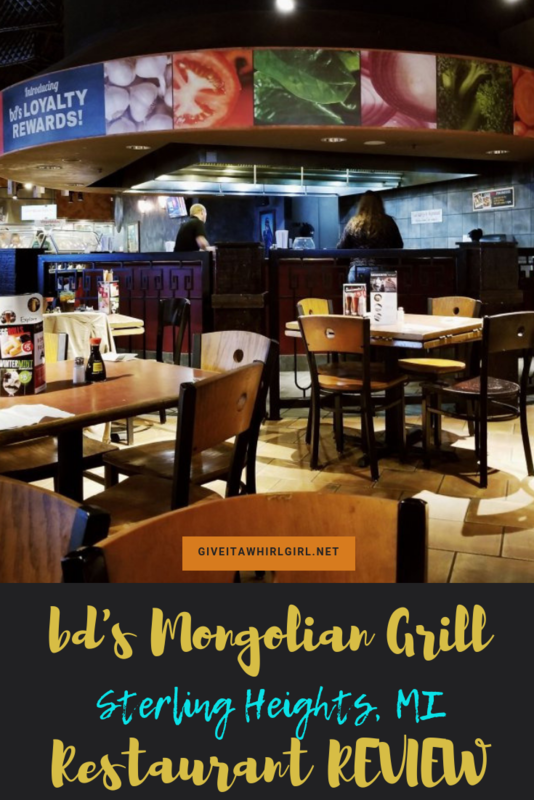 bd’s Mongolian Grill is the place to be if you want to build your own stir-fry and be the chef of your own meal. This bd’s Mongolian Gril review covers the basics on what you need to know about dining here. You choose the meat, veggies, sauces, and seasonings. Once your bowl is complete you take it up to the big grill and watch the meal cook right before your eyes. This is a great place to dine with family and friends and your meal will definitely give you something to talk about. 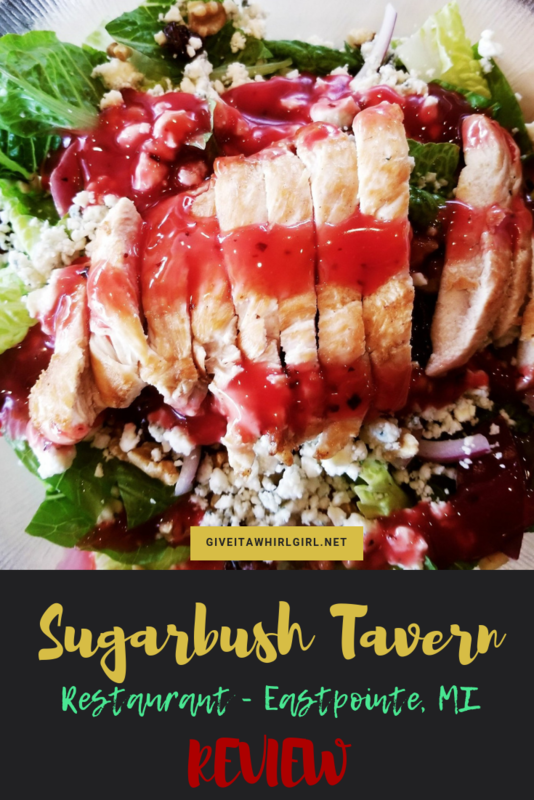 Good Eats At Sugarbush Tavern in Eastpointe, MI (REVIEW)- And The Best Cherry Chicken Salad Of My Life! Who doesn't love a great deal? I discovered Sugarbush Tavern through a local advertisement paper and through a recommendation from my mother. My husband and I often browse those publications to discover new restaurants that are local and have a coupon offer. Sugarbush had a buy-one-get-one-half-off coupon offer so we decided to step in for a family dinner and hope for the best. We reside in St Clair Shores so heading over to Eastpointe is not too far of a drive for us. Sugarbush Tavern is definitely conveniently located for someone like myself. Keep reading to find out about our incredible meals here and to find out more about their menu items. They are known to have the best ribs in town, also known to serve up a big fat juicy burger, wings, and other entrees. They also have a weekly specials menu for food and drinks. 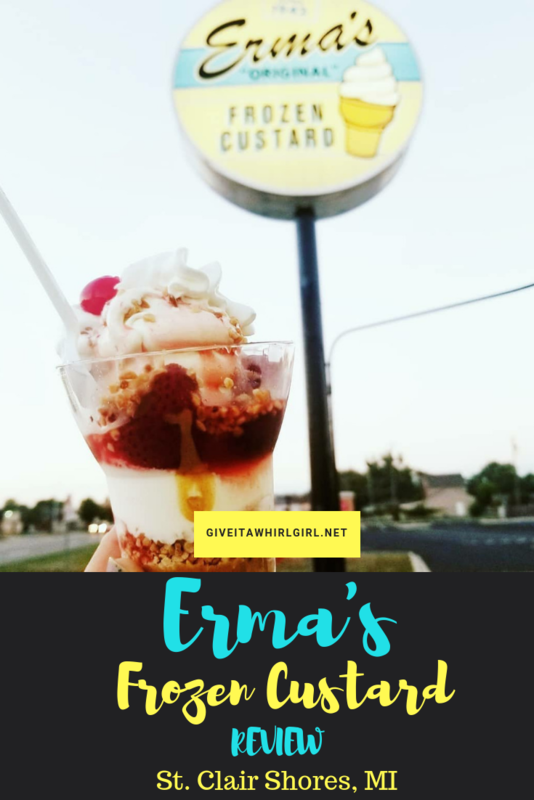 Erma's Frozen Custard in St. Clair Shores is the place to be if you want some top quality frozen custard and some exciting, fun ways to top it. This place has so many wonderful flavor concoctions it is somewhat overwhelming to decide on just one! Give me two. NO! Give me three! The flavor options here are just mindblowing. This was my first time visiting with my little family of 3 and we each chose our own parfaits. I just had to go with Peanut Butter & Jelly. I really have a thing for PB&J and that is my jam right now. My husband went with the S'mores Parfait. I believe I heard him moaning over just how good it was. And last but not least my daughter, Chloe, went with a Candy Parfait. 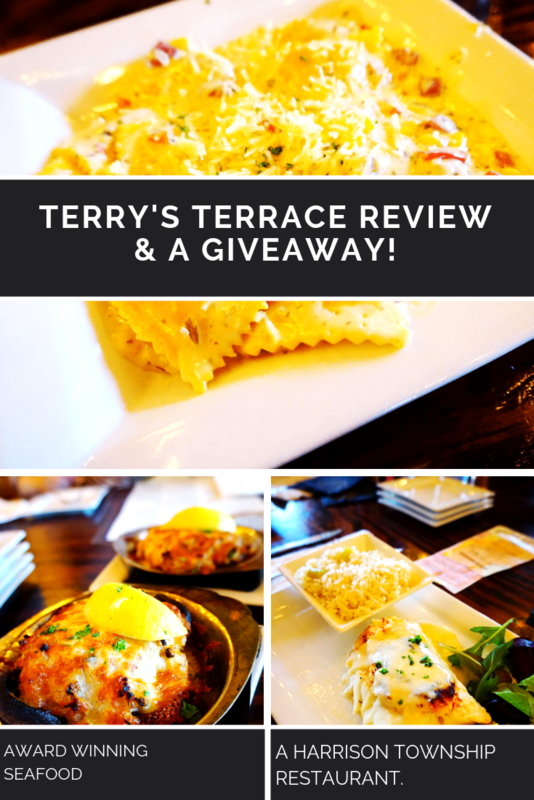 Just in case you missed my review… please check this place out if you are in Southeast Michigan area. This place is fun for the whole family. 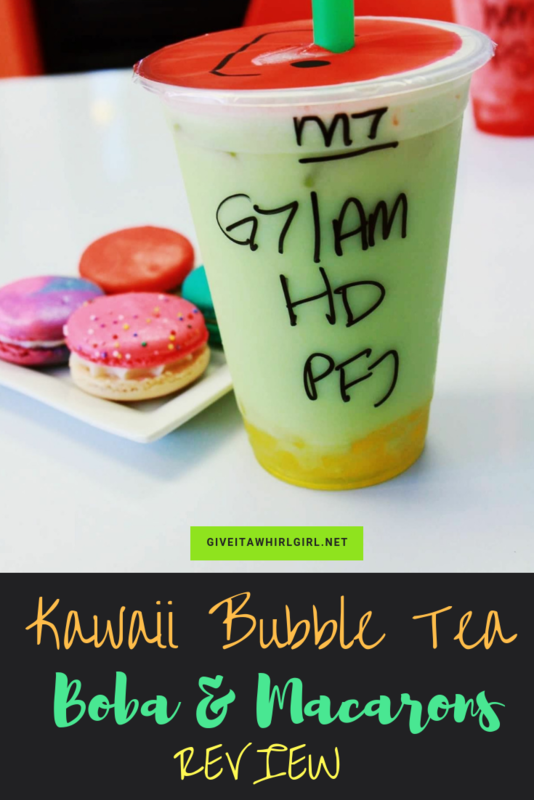 Kawaii Bubble Tea is the most perfect place to take your family. The drinks served here are kid-friendly and this little shop is a good alternative to going out for ice-cream. 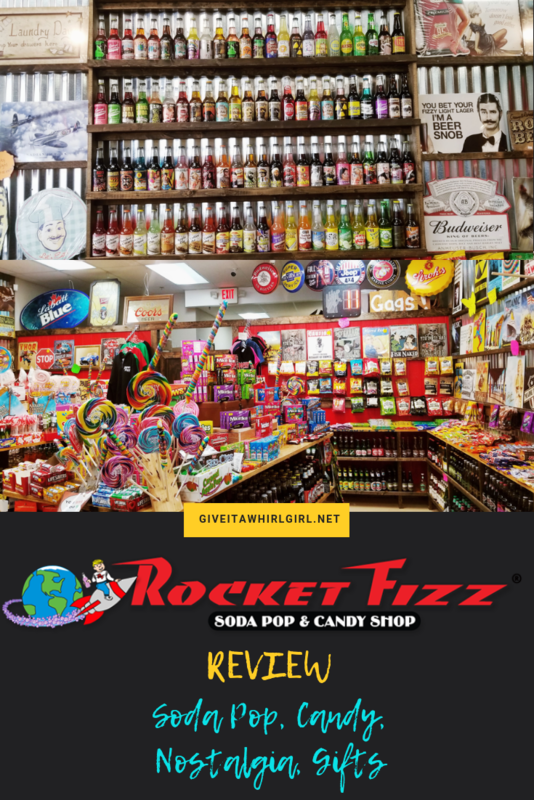 Your child will fall in love with the cute drinks that come in fun flavors. The drinks even come with a cute little face on top to seal the drink in. And because there is boba in there you have to use a thick, fat straw. Children will definitely have a memorable time here and get a kick out of it. My 8-year-old daughter, Chloe, always looks forward to going out for a bubble tea. 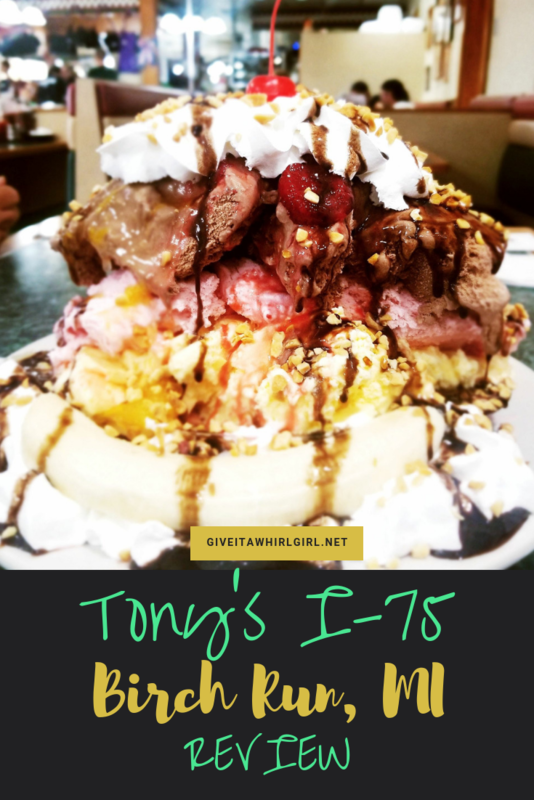 Tony's I-75 is located in Birch Run, MI. This place is not for the faint of heart. It is not the place to go for a light meal. And it might just be a heart-attack waiting to happen. This establishment will literally put an entire POUND OF BACON on your sandwich. Do you want an omelette? They will put a DOZEN OF EGGS in there. Not kidding. This is a family restaurant that serves up meals of EPIC proportions. They are famous for their serving sizes and they are also famous for the bacon that they serve up here. It is a bacon-lover's paradise and dream come true here. Did you know that they use up 11,000 lbs of bacon weekly? It is true, read on! Today I would like to introduce you to a line of kombucha that was birthed in my home state of Michigan. 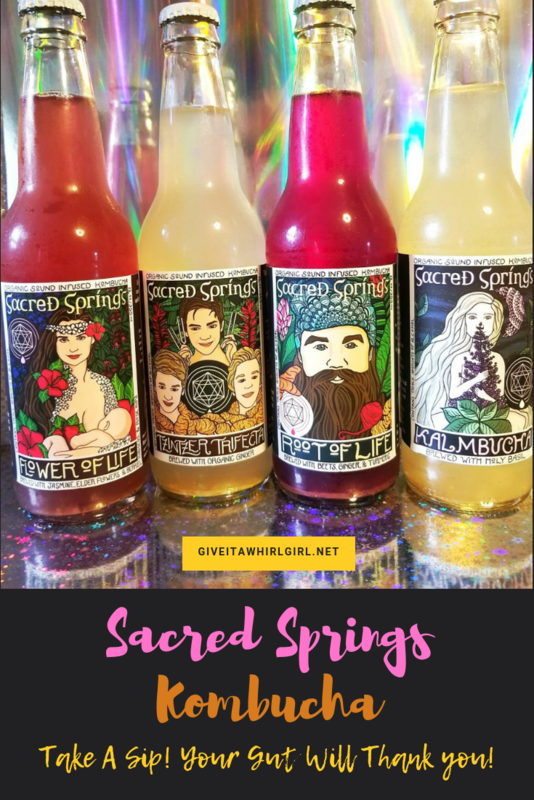 This kombucha is brought to you by Sacred Springs. I actually ordered all five flavors from Shipt but one flavor was out of stock... boo! I will be honest here, I am a huge sucker for labeling and packaging. If a label draws me in enough I will purchase that product and bring it home with me. I have had my eye on this kombucha for awhile, particularly the Root Of Life bottle with the bearded man. Maybe his eyes mesmerized me? Whatever it was, it worked!